With so many awesome home theater gear options out there, figuring out exactly which model to buy, or what features you need, can be daunting. Thankfully, High-Def Digest has you covered. Welcome to our Best Gear gift and buyer's guide where we recommend our Editors' Choice picks for the very best possible A/V gadgets n' gear you can currently buy. 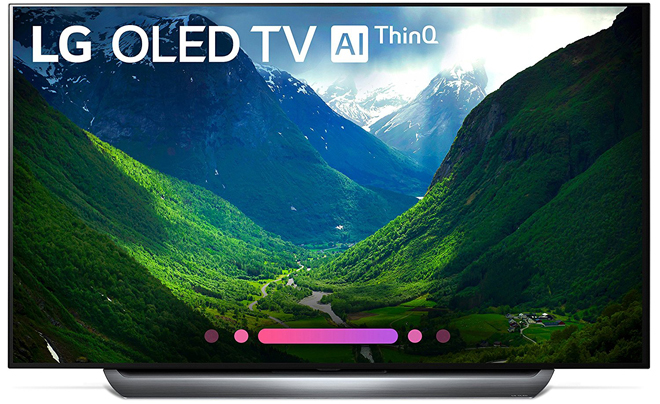 LG OLED65C8PUA 65" 4K Ultra HD OLED TV ($2,697) - LG's C8 OLED provides the best overall TV picture quality and value on the market this year with perfect blacks, comprehensive HDR support, ThinQ AI tech, and the company's new α (Alpha) 9 intelligent processor for improved image and color performance over 2017's models. Of course, the C8 isn't the only impressive Ultra HD TV you can buy right now. With various OLED and LCD models to choose from, support for different HDR formats across different brands, and flagship units hitting $3,000 and beyond, quality can vary wildly depending on which display you settle on. For a complete rundown of our top display picks, check out our full Best 4K Ultra HD TVs for 2019 list. 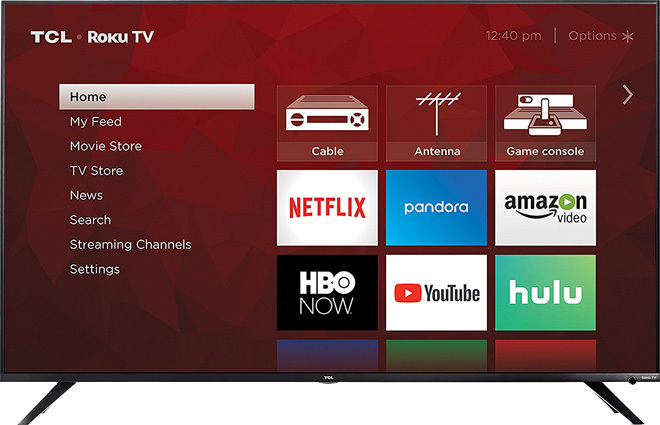 TCL 6-Series 65R617 65-Inch 4K Ultra HD Roku TV ($1,000) - Packed with several advanced features -- like Dolby Vision, wide color gamut support, and full array local dimming -- normally reserved for more expensive sets, TCL's 6-Series offers one of the best performance to price ratios of any new display for 2019, cementing itself as the top 65-inch 4K TV in the $1,000 price range. The TCL 6-Series is joined by an increasingly impressive assortment of other great bang-for-your buck display models as well. 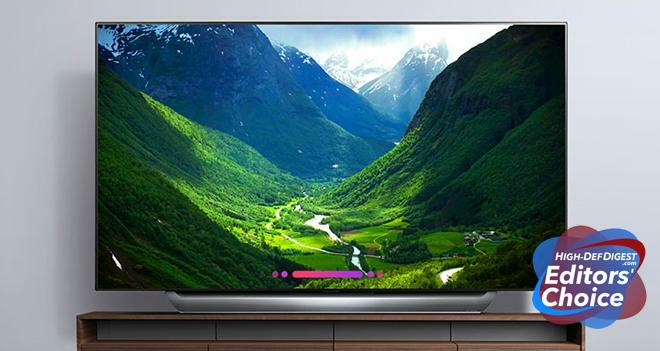 For a full rundown of our top value picks, check out our complete Best TVs to Buy on a Budget in 2019 list, proving that solid quality can still be found without breaking the bank. Denon AVR-X8500H 13.2-channel AV Receiver ($3,999) - As one of the only 13.2-channel models on the market, the AVR-X8500H is the current flagship receiver to beat. With support for up to a 7.2.6 or 9.2.4 speaker system, this unit provides the ultimate Dolby Atmos or DTS:X experience... for those lucky enough to afford it. But even without the X8500H's impressive 9.2.4 support, there are plenty of other great receivers on the market too. For a full rundown of our top choices at a variety of budget levels, check out our complete Best AV Receivers of 2019 list, covering the full gamut of performance classes from 7.2-channel models to 13.2-channel beasts. Onkyo TX-NR585 7.2 Channel A/V Receiver ($394.77) - As one of 2018's most affordable 7.2-channel receivers, the TX-NR585 provides entry-level support for up to a 5.2.2 Dolby Atmos and DTS:X audio speaker configuration without breaking the bank. The unit is rated for 170 W/Ch (6 ohms, 1 kHz, 10% THD, 1 channel driven). AccuEQ Room Acoustic Calibration is included as well, along with AccuReflex technology for Dolby Atmos-enabled speaker systems, and 4K HDR/Dolby Vision passthrough. Again, there are many other worthy receivers at various price points to choose from as well. For a full rundown of our top choices at a variety of budget levels, check out our complete Best AV Receivers of 2019 list. Samsung HW-N950 Soundbar with Dolby Atmos DTS:X ($1,597.99) - With support for a complete 7.1.4 Dolby Atmos and DTS:X experience, the HW-N950 is one of the most comprehensive sound bar systems of 2018. Consisting of a single sound bar unit with two side-firing and two up-firing speakers, two rear satellite speakers with their own upward firing drivers, and a wireless subwoofer, this is a fantastic, compact immersive audio alternative to a full receiver and multiple speaker setup. Of course, sound bars come in all shapes and sizes, and there are plenty of other impressive models available for a variety of home theater needs. For our full rundown of our top picks at various price points, check out our complete Best Sound Bars of 2019 list. VIZIO SB36512-F6 5.1.2-Channel Dolby Atmos Soundbar System ($349.99) - At a current sale price of just $350, the SB36512-F6 is now one of the most affordable all-in-one Dolby Atmos solutions available. This 36" 5.1.2 System features a 36-inch sound bar unit with two upward firing drivers, two rear satellite speakers, and a wireless 6-inch subwoofer. In addition, the device offers support for Dolby Atmos decoding in lossless TrueHD over HDMI from a connected Blu-ray player or in Dolby Digital Plus via a connected set-top box or smart TV. Likewise, the system includes DTS Virtual:X tech for simulated immersive audio if a user does not want to engage the upward firing drivers. With that said, the unit does not support DTS:X decoding. Of course, even with the SB36512-F6's great value, some users might not want a multiple piece sound bar system. Thankfully there are still many other great models suited for various needs. For our full rundown of our top picks at various price points, check out our complete Best Sound Bars of 2019 list. 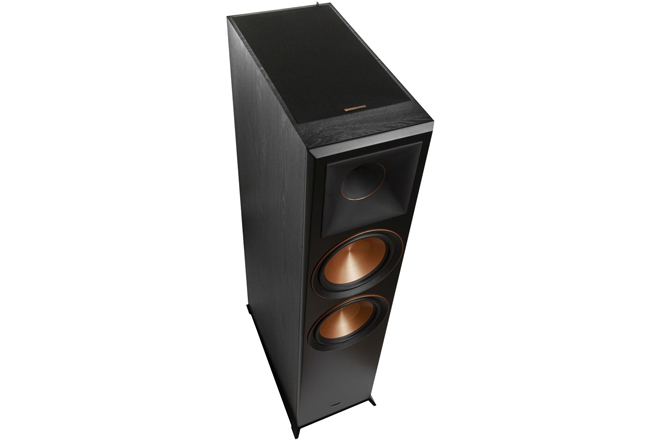 Klipsch RP-8060FA Floorstanding Speakers ($1,798 per pair) - As Klipsch's new premium Reference Premiere Dolby Atmos speaker, the RP-8060FA features a 1" Titanium LTS Vented Tweeter with Hybrid Tractrix Horn, 8" Spun Copper Cerametallic Woofers, an integrated Height Channel with 6.5" Spun Copper Cerametallic Woofer, and Bass-Reflex via Rear-Firing Tractrix port -- offering one of the most powerful immersive audio solutions available right now. 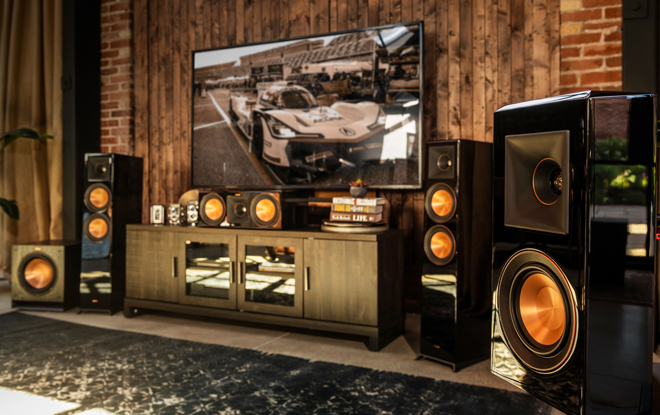 Beyond Klipsch's flagship offering, customers also have a wide-variety of other worthy Dolby Atmos speakers to choose from, including different in-ceiling speakers, speakers with integrated up-firing drivers, and add-on modules with up-firing drivers. For a full rundown of our top speaker choices for a variety of budget levels, check out our complete Best Dolby Atmos Speakers for 2019 list. Klipsch Premiere Series 7.2.4 System ($5,480) - The second generation Reference Premiere series uses Tractrix horn technology for better high-frequency response, imaging, and dynamics. Likewise, the speakers feature Linear Travel Suspension titanium tweeters, new vented tweeters, and copper Cerametallic woofers with Tractrix ports. Includes (2) RP-8060FA Dolby Atmos Floorstanding Speaker ($899 each), (1) RP-504C Center Channel Speaker ($649 each), (4) RP-6000F Floorstanding Speaker ($399 each), (2) RP-500SA Dolby Atmos Elevation Speakers ($399 per pair), and (2) R-112SW subwoofers ($519 each). Or go in-ceiling with the Klipsch CDT-5800-C II ($300 each) switching to the RP-8000F Floorstanding Speaker ($479 each). Panasonic DP-UB820 4K Ultra HD Blu-ray Player ($499.98) - Now that Oppo is sadly out of the Blu-ray game, fans of physical media have been clamoring for another premium 4K disc player to fill the void. Thankfully, the DP-UB820 does just that, easily cementing itself as 2018's best Ultra HD Blu-ray solution. As the only model currently on the market with support for HDR10, Dolby Vision, and HDR10+, the device offers industry-leading format capabilities. In addition, premium image processing, HDR optimization features, and advanced audio capabilities with a 192-kHz/32-bit 4-DAC round out the package, making this the current flagship player to beat. But while the DP-UB820 might lead the pack, there are still several other worthy Ultra HD Blu-ray players to choose from as well. For a complete rundown of our top picks at various price points, check out our full Best 4K Ultra HD Blu-rays of 2019 list. 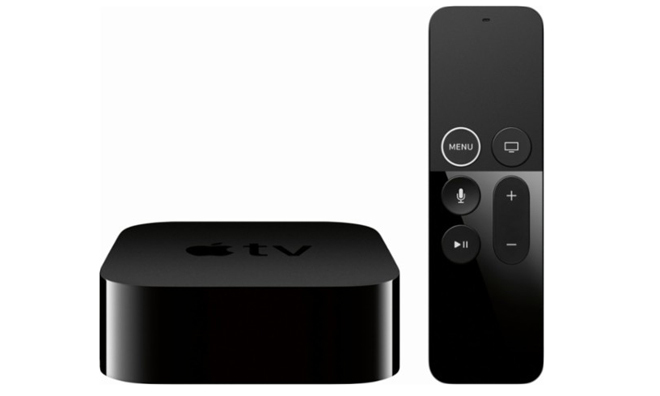 Apple TV 4K ($170) - With 4K HDR10/Dolby Vision streaming support, and Dolby Atmos audio capabilities, the Apple TV 4K is among the most advanced streaming solutions on the market. Add in access to the largest library of HDR and Dolby Atmos titles available on any media player (via apps like iTunes, Netflix, and VUDU), and this set-top box edges out the competition to cement itself as the top 4K streaming solution on the market. But if Apple's device isn't your fancy, there are also many other great budget-friendly and flagship media players available, offering access to plenty of apps and services. For a complete rundown of our top picks at multiple price points, check out our full Best Streaming Media Players of 2019 list.